PHOENIX – Drug Enforcement Administration (DEA) Special Agent in Charge Doug Coleman announced today that the U.S. Department of the Treasury‘s Office of Foreign Assets Control (OFAC) reported the designation of three individuals and three entities linked to Ismael Zambada Garcia, one of the principal leaders of the Sinaloa Cartel. Those designated include Jose Antonio Nunez Bedoya, a Mexican attorney and notary public who helps to create front companies in order to conceal and launder assets related to Zambada Garcia, members of Zambada Garcia’s family, and other members of the Sinaloa Cartel. Nunez Bedoya incorporated Estancia Infantil Nino Feliz and Establo Puerto Rico on behalf of Zambada Garcia and he notarized real estate purchases on behalf of Santa Monica Dairy, all of which were previously designated by OFAC in May, 2007. Additionally, Nunez Bedoya notarized real estate purchases on behalf of Sinaloa Cartel leader Joaquin Guzman Loera and his wife, Griselda Lopez Perez, who OFAC designated in September, 2012. The cash-intensive businesses designated by OFAC today were Parque Acuatico Los Cascabeles, a Sinaloa-based water park, Centro Comercial y Habitacional Lomas, a shopping mall in Culiacan, and Rancho Agricola Ganadero Los Mezquites, a cattle ranch in Sinaloa. Nunez Bedoya incorporated and notarized all three businesses on behalf of Zambada Garcia. Also designated today were Tomasa Garcia Rios and Monica Janeth Verdugo Garcia, wife and daughter of deceased narcotics trafficker Jose Lamberto Verdugo Calderon. Verdugo Calderon, who was killed by the Mexican military in January 2009, was widely identified by U.S. and Mexican authorities as a major financial operative and lieutenant for Zambada Garcia. Tomasa Garcia Rios and Monica Janeth Verdugo Garcia own Rancho Agricola Ganadero Los Mezquites and Parque Acuatico Los Cascabeles. “Treasury will continue to target and disrupt financial operations linked to the Sinaloa Cartel by taking action against any facilitators, legal or financial professionals, or businesses that are laundering their narcotics proceeds,” said OFAC Director Adam J. Szubin. Today’s action, pursuant to the Foreign Narcotics Kingpin Designation Act (Kingpin Act), generally prohibits U.S. persons from conducting financial or commercial transactions with these designees and also freezes any assets they may have under U.S. jurisdiction. The President named Ismael Zambada Garcia and the Sinaloa Cartel as significant foreign narcotics traffickers pursuant to the Kingpin Act in May, 2002 and April, 2009, respectively. Internationally, OFAC has designated more than 1,300 businesses and individuals linked to 103 drug kingpins since June 2000. Penalties for violations of the Kingpin Act range from civil penalties of up to $1.075 million per violation to more severe criminal penalties. Criminal penalties for corporate officers may include up to 30 years in prison and fines up to $5 million. Criminal fines for corporations may reach $10 million. Other individuals could face up to 10 years in prison and fines pursuant to Title 18 of the United States Code for criminal violations of the Kingpin Act. The Los Angeles Police Department will unveil new integrated screen system in the Havis Booth at Police Fleet Expo. The Los Angeles Police Department (LAPD) is bringing their vision of the future police vehicle to Charlotte, N.C. for Hendon Publishing’s Police Fleet Expo. From Aug. 19-22, show attendees will get to see an all new, in-dash mounted screen in Ford’s Police Interceptor Sedan and Police Interceptor Utility. 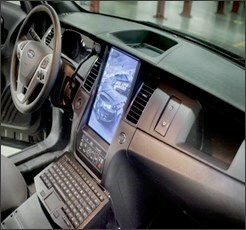 The LAPD has envisioned the system as the next step forward in police vehicle interiors. The modern police vehicle is becoming loaded with technology and equipment that, in turn, puts a premium on in-vehicle space. Departments across the country are consistently working to create the best ways to mount their necessary equipment in a safe manner in the dash, center console, passenger side, and trunk of their next generation Ford Police Interceptors. The LAPD’s design will put an emphasis on police officer comfort and ergonomics, saving space, and technology integration. New police car infrastructures demand the safe mounting and easy use of multiple radio connections, multiple video inputs, relocated HVAC and factory controls, radar detection, license plate recognition systems, laptop computers, printers, and other equipment. The Los Angeles Police Department has worked with Ford Motor Company, Havis Inc., National Safety Agency and Lectronix to co-develop a solution that will give police officers an integrated screen with controls to all of these pieces of critical equipment. Ford’s cooperative engineering and design efforts have led Havis to create a dash molding that precisely and securely wraps a Lectronix monitor. Shared engineering CAD data has allowed Havis to use factory OEM mounting points for the screen’s location and all required fasteners. Finally, Lectronix’ use of custom software will provide the technology to create the integrated functionality that the LAPD requires for its police force. At the Police Fleet Expo in Charlotte, N.C., show attendees will be able to see a prototype of the new system in a Ford Police Interceptor Utility in the Havis Inc. booth (#94) and a Ford Police Interceptor Sedan in the Crown North America booth (#326). Located at the Charlotte Convention Center, the Police Fleet Expo has a full agenda for Aug. 19-22. Exhibit hours include Aug. 21 from 1:30-5:30 p.m. and Aug. 22 from 9:00 a.m.-1:00 p.m.
Stay up-to-date on the latest products and announcements from Havis through the Havis Equipped Blog, LinkedIn and Facebook. Havis Inc. is a privately held, ISO 9001:2008 certified company that manufactures in-vehicle mobile office solutions for public safety, public works, government agencies and mobile professionals. For over 80 years, the Havis mission has been to increase mobile worker productivity with industry-leading products that are built to the highest safety and quality standards and are designed with comfort in mind. Headquartered in Warminster, Pa., with an additional location in Plymouth, Mich., Havis currently employs 200 people. For more information on Havis, please call 1-800-524-9900 or visit http://www.havis.com. 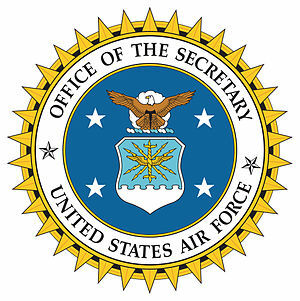 7/24/2013 – WASHINGTON (AFNS) — The Air Force recently implemented a new inspection system, aimed at giving more power to wing commanders. With the signing of Program Action Directive 13-01, Air Force inspection system Implementation Tiger Team transitions from the planning phase to the execution phase. The program, which was beta tested by United States Air Forces in Europe-Air Forces Africa, aims at empowering wing commanders to run their wing’s inspection system. By doing this, each commander will be able to focus on improving mission effectiveness every day, balancing resources and risks without the wasteful peaks and valleys of preparing for inspections. The goal of the new system is to make inspections a nonevent, part of the daily battle rhythm of continuous improvement. As the Air Force continues to be shaped leaner, the importance of eliminating waste, and increasing efficiency is at an all-time high. As the new AFIS is implemented and evolves, senior Air Force leaders are confident the program will reduce manhours significantly. Under the previous legacy system, major commands would send their inspector general along with dozens of function inspection teams to inspect how ready that unit is and how compliant they are. As wings begin to adapt to this new culture, senior leaders are confident their main objective of strengthening the Air Force will be achieved. “Our ultimate goal is to strengthen and improve the force,” Mueller said. consciousness of all who serve and protect the public. voices are heard and we will not let our heroes be forgotten. What one chaplain is doing to make fighting the wildfires in Colorado easier for those tasked with doing the job. PAGOSA SPRINGS, Colo., July 12, 2013 – Army Chaplain (1st Lt.) Justin Cowan said he knew the day he walked out his door in early June to see huge plumes of smoke — the beginnings of the West Fork Complex fire — there was a possibility the Colorado National Guard would be called to help his community. Washington, DC — Today the National Law Enforcement Officers Memorial Fund, in conjunction with Concerns of Police Survivors (C.O.P.S. ), issued a new report stating that 51 officers have been killed in the line of duty during the first half of 2013—a nine percent increase since last year. Of these 51 officers, 18 were killed in traffic-related incidents; 17 were killed in firearms-related incidents; and 16 died due to job-related illnesses and other causes. Traffic-related incidents were once again the leading cause of officer fatalities, with 18 officers killed in the first half of 2013—a 34-year low. Firearms-related incidents were the second leading cause of officer deaths, with 17 fatalities. Ambush attacks were the leading circumstance of fatal shootings, with seven officer fatalities. After increasing dramatically in 2010 and 2011, firearms-related fatalities decreased for the second year in a row, hitting a 57-year low. Sixteen officers died due to other causes in the first half of 2013, compared to 10 in 2012. Job-related illnesses, such as heart attacks, increased in the first half of 2013, with 10 officer fatalities. California led all states with seven officer fatalities; followed by Arkansas with six; Louisiana and Texas with three each; and Arizona, Florida, Mississippi, New York and Virginia with two each. A copy of the full research bulletin, “Law Enforcement Officer Deaths: Mid-Year 2013 Report,” is available at www.LawMemorial.org/ResearchBulletin. The National First Responder Prayer Team wishes to extend its thoughts and prayers to the families and departments of all the lost officers. May they all rest in peace ! The Houston Fire Department is lending support for the fallen firefighters in Arizona. Nine members of the HFD Honor Guard and Pipes and Drums are assisting with the memorial and funeral services throughout this week for the 19 Prescott Firefighters killed in the line of duty. One of the functions of the HFD Honor Guard and Pipes and Drums are to ensure that each and every firefighter is honored with the same service type, each and every time. Members of the Honor Guard and Pipes and Drums have also attended and assisted with multiple services for fallen firefighters throughout Texas and the Nation, including those from 9/11. The Prescott firefighters were deployed as members of the “Granite Mountain Hot Shots,” a federally funded elite wildland firefighting team. As a result, the Houston Fire Department was assigned Operations in the Funerals Service Group which involves all funeral services and air transports for the 19 firefighters. This group also includes members the New York City Fire Department, Boston Fire Department and Arizona.